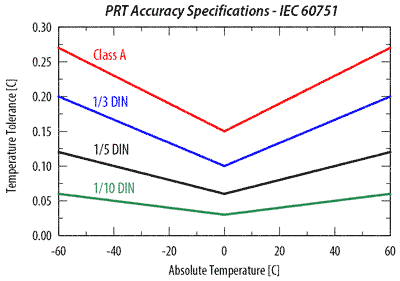 The ST-150 is a 1/8 inch, Class A PRT (Platinum Resistance Thermometer) with an IP67 rating. White heat shrink is used on the cable behind the PRT to minimize heat transfer to the sensor. PRT sheath dimensions are 3 mm diameter and 65 mm length, miminzing thermal mass.